To follow this tutorial, you’ll need a KeyLines evaluation account. Elasticsearch is part of the open source portfolio known as the Elastic Stack. It’s a fast and scalable search engine built on the Apache Lucene software library. Lucene is a high-performance technology for searching and indexing data, but it can be very complex to use. Elasticsearch makes the power of Lucene more accessible by pre-selecting sensible defaults and providing a more intuitive REST API. The power and simplicity of Elasticsearch makes it popular with organizations that need to search very large volumes of data, including Facebook, Wikimedia and Stack Exchange. It supports near real-time data searching on a petabyte scale, using a system of sharding and routing to scale outwards from the beginning. In this scenario, KeyLines runs in the web browser. 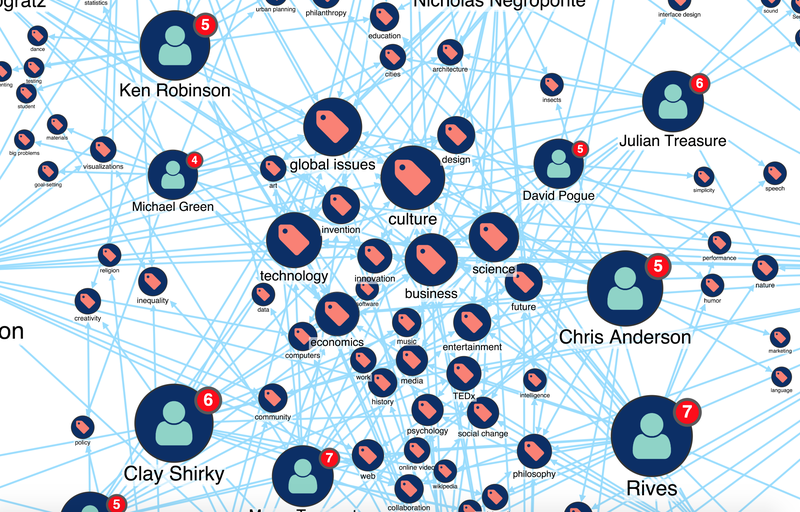 Every time a user clicks, hovers or interacts with the graph data on a chart, it raises an event. When the user requests data, the browser application sends an AJAX request to the Elasticsearch REST API. 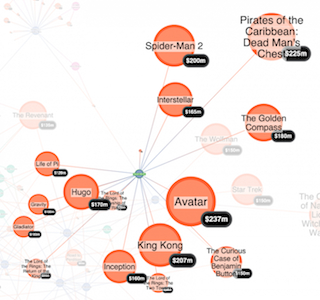 Elasticsearch returns the data as a JSON object that KeyLines styles and displays on the chart. Database.js contains the main functions to initialize KeyLines and to add visual interactions. Elasticsearch.js contains the functions required to send queries to, and interact with, the server.  Keylines.js contains components to build the visualization part of our application. Make sure to include the assets folder from the KeyLines download. Index.htm contains the KeyLines chart and some customization code to describe the general UI. If your Elasticsearch instance is populated already, you should skip this step. 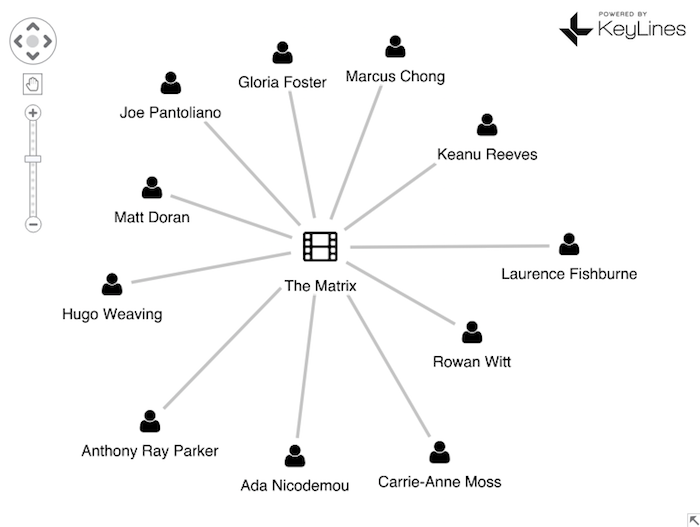 For this example, we used a dataset of movies and actors taken from IMDB.com and saved as JSON files. Denormalize the data to make graph queries faster and more efficient. We’ve done this for you already. The denormalized data is in the JSON files you downloaded with the Elasticsearch.zip file. For more information, see Denormalizing Your Data. Load the data into your Elasticsearch instance. Note: For security reasons, we recommend that you don’t configure Elasticsearch in this way in a production environment. Now you can add styling and interaction controls that suit the way you want to work with charts. For inspiration about what functionality is available, browse the Demos page of the SDK site. Here’s an example of how to find movies with “The Matrix” in the ‘title’ field. In response to this query, you’ll receive a JSON object describing The Matrix movie. Now we need to parse this into a format KeyLines can use. The Elasticsearch response contains the information we need to create the results on a KeyLines chart, so parsing your JSON is a relatively simple process. 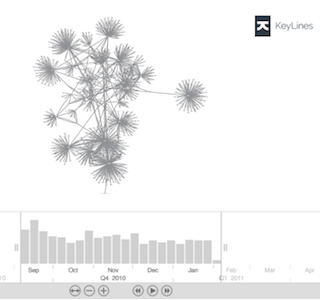 The KeyLines SDK site includes a KeyLines-Elasticsearch sample demo, with downloadable source code. Request a KeyLines trial account to get started. This simple example is intended to help get you started. Now that your infrastructure is working, you can perform more sophisticated searches. As you worked through the steps, you’ll have noticed some additional KeyLines controls such as running automatic layouts. This is just one way you can extend the functionality of KeyLines to help users explore and understand their data. KeyLines offers a wide range of ways to customize your final application – far too many to outline here. Instead we recommend taking a detailed look through the KeyLines SDK documentation, especially the API reference and sample demos.